What causes razor burn in the pubic area? Is it razor burn or an STI? Razor burn consists of small, red bumps that appear after shaving due to damage to the hair follicles. They can often be mistaken for genital herpes or other sexually transmitted infections. The best way to avoid razor bumps is to opt for an alternate hair removal method. Razor burns can be treated with over-the-counter creams, home remedies and some spa procedures. In the endless quest for silky smooth skin, no body part is safe – even the notoriously challenging pubic region. The skin of the pubic zone is particularly sensitive; a single swipe with a razor could leave you with red, inflamed, itchy and burning bumps. Read on to find out how you can give razor burn the boot. Razor burn as a condition falls under the umbrella of “folliculitis,” a term that refers broadly to any skin condition where hair follicles become inflamed. Razor bumps (pseudofolliculitis barbae) occur when the hair follicle itself becomes damaged during the shaving process, leading to swelling, pain and redness. The condition is especially common in the bikini area but may also plague men who shave their beards – particularly people of color and those with thick or curly hair. Shaving effectively exfoliates the skin and gets rid of its top layer, which is generally made up of dead skin cells. If there isn’t a proper barrier between your skin and the razor, you risk cutting too deep and damaging the lower layer of new, sensitive skin in the process. This damaged skin is prone to the development of new skin conditions, including infected ingrown hairs. For all these reasons, figuring out how to prevent razor bumps is key to a healthy skincare routine. Small, red bumps can be cause for alarm, especially when they pop up in the pubic region. Razor burn can resemble some sexually transmitted infections (STIs), including herpes. These itchy and painful conditions are often mistaken for one another. For your peace of mind, it’s a good idea to know how to properly identify an STI so you know whether or not to seek medical attention. The most important factor to consider is whether or not you have other symptoms. STIs are generally accompanied by fever, aches, pains and headaches. Herpes, for instance, can be accompanied by painful urination. There are also visual cues that can guide your assessment. For example, genital warts feel different than razor bumps and tend to have more defined, jagged edges. Razor bumps are generally only sensitive or tender to the touch, so if you’re experiencing a lot of pain or if your bumps look more like open sores, it’s time to see your doctor. Before you try any treatment, you should first take a break from shaving. Your skin needs a little bit of time to heal naturally, and shaving during a bout can only worsen the irritation. Getting rid of these annoying bumps in the bikini area can be done in a number of ways. Benzoyl peroxide, corticosteroids, topical retinoids and antibiotics can all be used to treat razor burn. Using antibacterial creams with benzoyl peroxide or applying low-potency hydrocortisone cream (0.5-1%) can help stave off the bacteria that leads to itching, redness and scars. Some medicines designed to zap these red bumps also contain acetylsalicylic acid (aspirin), which works to lessen the pain and inflammation. Some natural remedies may be helpful in treating razor burn by soothing the inflammation and pain. Apply a small amount of lemon juice or tea tree oil onto the area with a cotton ball to stave off bacteria. Some people swear by the soothing effects of aloe vera, baking soda and witch hazel – all of which are said to calm irritation and keep inflammation at bay. Be sure to exercise caution before applying any solution directly onto the pubic area. Try it on a small spot on your inner arm first just to be safe. It may seem like an outlandish idea but some people swear by the “bikini facial,” which is essentially just a chemical peel for your pubic zone. These peels are generally made up of exfoliative acids, including salicylic acid, mandelic acid or lactic acid. These ingredients help eliminate inflammation, create a smoother appearance and soften scars caused by acne and ingrown hairs. The best way to prevent razor burn anywhere on your body is to shave with extreme caution or to eliminate shaving altogether. If you must shave, the American Academy of Dermatology (ADA) recommends starting with wet hair and skin to soften and prepare the area for shaving. You should also use a protective agent, such as shaving cream or gel, to create a barrier between the razor and your skin. Most importantly, make sure that you shave in the direction of the hair growth. Consider applying a hot compress on the area for a few minutes before shaving to soften the skin. While shaving, always rinse the razor after each pass to ensure that the area is properly hydrated. Avoid shaving with hot or cold water — warm water is best. Store your razor outside the shower to protect it from bacterial growth and rust. Using a new razor can sometimes trigger burns, so break it in on a less sensitive areas first, such as the legs. Of course, the only surefire way to prevent razor burn is to eliminate shaving from your routine. Luckily, there are plenty of safe, easy and affordable hair removal methods. Note, however, that some alternatives are just as likely to leave you with red bumps. While waxing is definitely one of the best ways to get rid of thick, stubborn hair growth, it too can leave the area red and irritated. Here are some options that are less likely to trigger irritation. During laser hair removal, the hair follicles are exposed to pulses of laser light, which effectively destroy them so that they can’t grow back. The procedure can permanently inhibit or reduce hair growth, so you don’t have to bother with hair removal ever again. You can opt for a “Brazilian laser hair removal” to eliminate hair in the entire pubic region or you could choose to eliminate hair along the bikini line only. Electrolysis is the only permanent, guaranteed hair removal technique at present. However, the procedure has many limitations as it involves the removal of each individual hair follicle, making it extremely impractical when targeting large areas. So, while you can get electrolysis on the bikini line, the process is both painful and time-consuming. It also can leave you with ingrown hairs and permanent skin discoloration. Otherwise known as hair removal creams, these topical agents use acids to weaken the hair so that it’s easy to wipe away. These creams are similar to razors in that they only remove the hair above the hair follicle, so they have to be used regularly if you want to maintain smooth, hair-free skin. One major benefit of chemical depilatories is that they reportedly produce fewer bumps than manual razors. In a swimsuit or in intimate moments, nothing is more uncomfortable than unwanted body hair. Luckily, there are a range of electric and manual options to suit everyone’s needs. From manscaping to bikini area epilators, these products are body hairs worst nightmare. 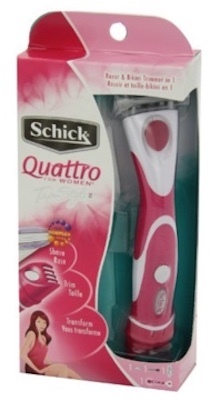 Schick’s Quattro Razor and Trimmer combo is a great all-in-one product that makes it easy to get a smooth and comfortable shave. It comes with a waterproof trimmer and a four-blade razor with acai berry and jojoba conditioning strips to take care of skin in this sensitive area. For a close shave that doesn’t pull or dry out the skin, Remington’s electric razor might be your best bet. Its angled head allows it to navigate curves easily and its dual-sided trimmer works to guide hairs toward the blade. To make things easier, it’s also cordless and rechargeable. 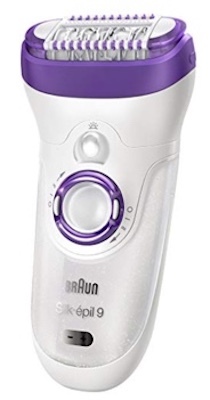 If you’re prone to razor burn, an electric shaver that comes with an epilator, like this offering by Braun, may be right for you. This fully-waterproof epilator uses MicroGrip Tweezer technology to remove even the finest hairs and massage rollers to ensure epilation is extra gentle. It can be converted into a shaver or a trimmer so you can have the best of both worlds. From its shave head that prevents nicks and cuts to its rounded trimmer blades that prevent scratching, this shaver puts your comfort ahead of everything. Thanks to its 3D pivoting design, Phillips’ Norelco Bodygroomer follows your body’s contours to give you a super close shave while reducing any irritation. 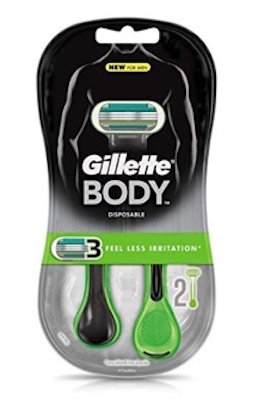 If you’re looking for an inexpensive option to avoid razor burn in hard-to-reach areas, the Gillette disposable body razor might be for you. Specially designed with manscaping in mind, this razor has extra lubrication, an easy-grip handle, and a rounded head to reach every area, comfortably. Choosing the right shaving products or switching to an alternative hair removal method can help you eliminate razor burn. If it’s too late and the damage is done, you can combat the pain, irritation and itchiness of bikini bumps with over-the-counter medications and natural remedies. » Want to know more? Ask a board-certified dermatologist to help you develop an individualized treatment plan — use Zwivel’s directory to locate an expert in your area.